This series not only brings Cable back to the present day Marvel universe, but sets up 2012’s huge Avengers vs. X-men crossover. Jeph Loeb and Ed McGuinness helm this four issue limited series that features Cable trying to destroy the Avengers. 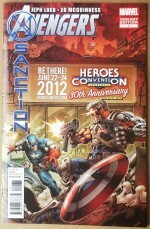 If you stop by the store this week make sure to pick up one of our Heroes exclusive variant covers for this issue. 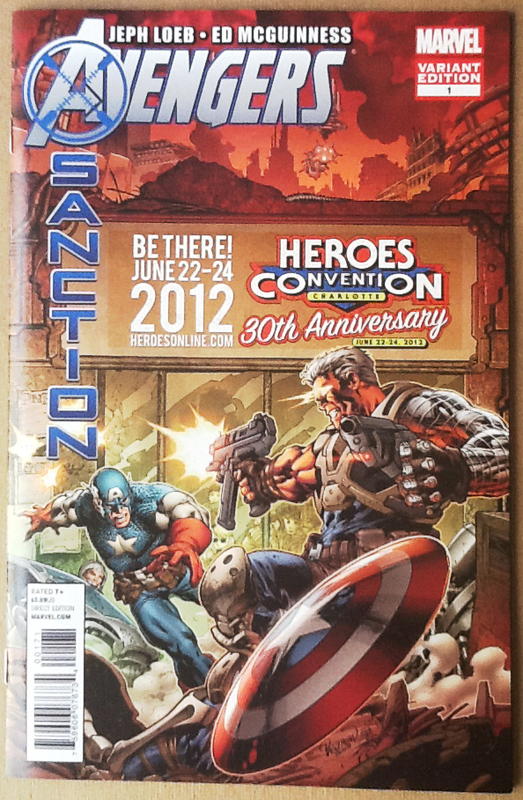 These were printed just for us, and are extremely rare, but you can be sure to find them at Heroes. You might not remember the television series of the same name, but if you loved the recent Muppets movie, here’s your chance to delve further into the genius work of Jim Henson. Archaia brings the t.v. 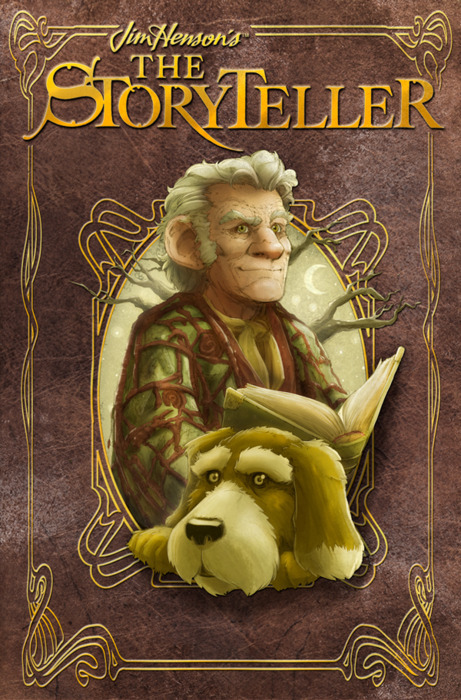 show’s premise of a storyteller and his dog to the comics medium in a logical anthology format with the help of creators like Roger Langridge, Jeff Parker, Ron Marz, Marjorie Liu, Paul Tobin, Craig Rousseau, Tom Fowler, Francesco Francavilla, Janet Lee and more. Aside from being a great gift idea, this one will undoubtedly be an enjoyable book because you know the contributers all have lots of love and respect for Henson. That’s bound to show in their work. If you haven’t yet given Uncanny X-force a try, you’re missing out on one of the most consistently well done and entertaining X books on the shelves. This week sees the end of Rick Remender and Jerome Opena’s Dark Angel Saga, and Marvel has hinted that at least one character might meet his/her demise in this issue. This issue also sets up issue 19’s new creative team of returning writer Remender and new artist Robbi Rodriguez, who is a talented artist deserving more attention for his quality work. One of 2011’s best anthologies receives hardcover treatment this week. Paying tribute to the late Dave Stevens, IDW brought together a veritable who’s who of modern comics greats to bring new stories of Steven’s most celebrated creation back to comics. Among the contributers are Mike Allred, Darwyn Cooke, John Cassaday, Dave Gibbons, John Arcudi, Ryan Sook, Mark Waid, Bruce Timm, Kurt Busiek, Tony Harris, Tommy Lee Edwards, Alex Ross and many others. Like this week’s The Storyteller, you know the creators involved with this project worked as a labor of love to Stevens and his inimitable contribution to the comics industry. 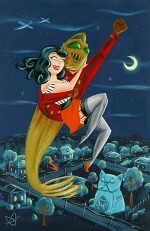 Dig that pin up from the talented Stephanie Buscema! 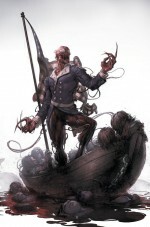 Zeb Wells and Clayton Crain always do well with their Carnage mini series, and this one should please fans. This time around the pair send America’s favorite murderous symbiote to America’s heartland, where his violent exploits draw the attention and ire of Spider-man and the Avengers. While this isn’t exactly a family friendly comic to read with your kids around the Christmas tree, it is something Spidey and Carnage fans should really enjoy. > Bonus Picks of the Week: Batwoman #4, Fables TP vol. 16, Chuck Jones: Dream That Never Was HC, Green Lantern #4, Red Wing TP, Roger Langridge’s Snarked #3, Shade #3, Batgirl #4, and Witchblade #150. 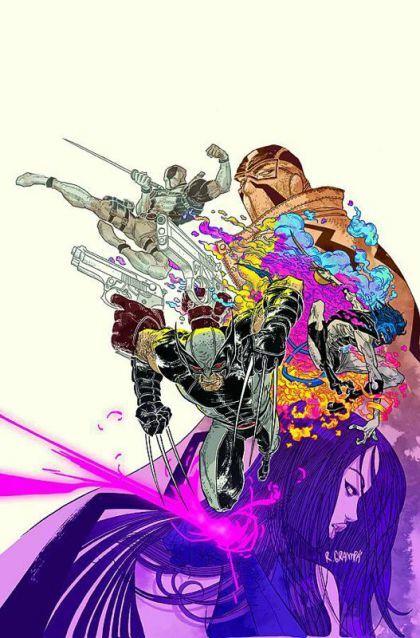 Glad to see some love for Uncanny X-Force on here. The Dark Angel Saga has been one of the best X-Men stories I’ve read in years. Sad to see Jerome Opena leave the book as his gorgeous Moebius inspired art has been a big draw for me as a reader but Robbi Rodriguez will be an interesting change of visuals.